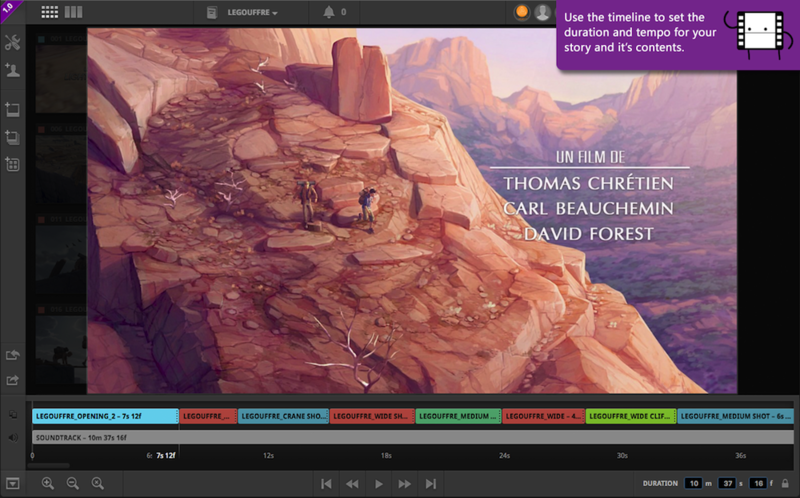 Say hi to SHOTTIO, the most awesome web-based storyboard platform on the entire internet. Discover the leanest way to develop, share and review your designs, storyboards, boardomatics. Sign up today to access your first free story! 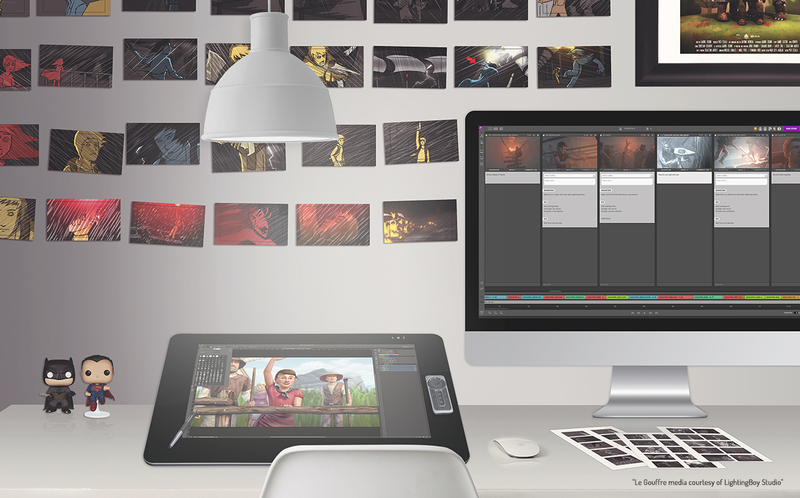 "SHOTTIO integrates freelance storyboard artists inside a pipeline and allow the artists to review their work in context. 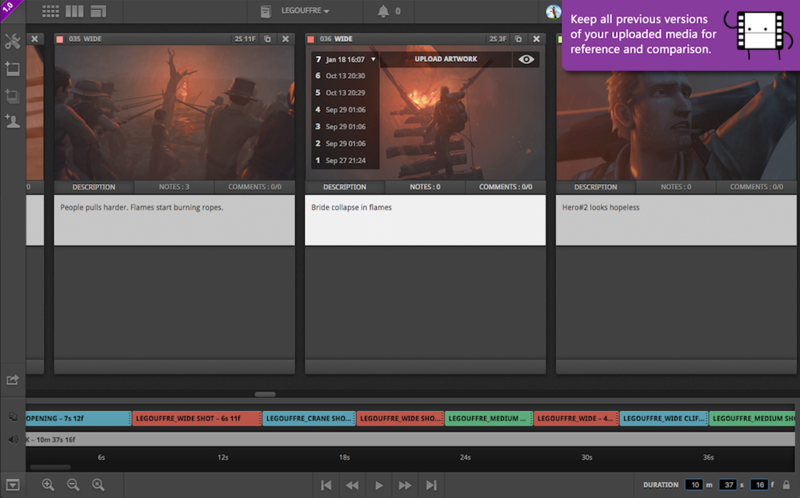 Being able to load an editorial cut and commenting directly on each boards will reduce the amount of transferred files by keeping everything under one tool. I see great benefits in using SHOTTIO." Shottio is designed by creatives for creatives to develop storyboards, pitches, styleframes, animatics and much more - quickly and hassle free. After years of searching but not finding any good online tools for story development and pre-production, we sat down and decided to make our own. 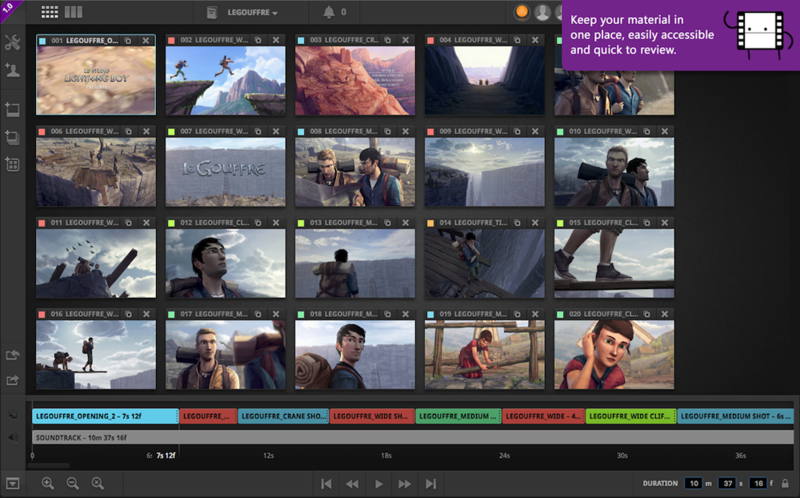 We have focused on the core workflow features to get you through pre-production without skipping steps due to boredom and procrastination. We really hope you find them as useful as we do and that you'll find your own ways of using them in your work. Keep your material in one place, easily accessible and quick to review. To upload artwork, simply drag and drop it inside the unit. Need to move your units? Easy! Select one, drag it and drop it where it needs to be. Use colour coding to sort through your artwork quickly. Describe the action you want to see in your Unit. Add some dialog and get the plot moving in the Description tab. Create labelled sections for technical notes or reminders for your material in the Notes tab. 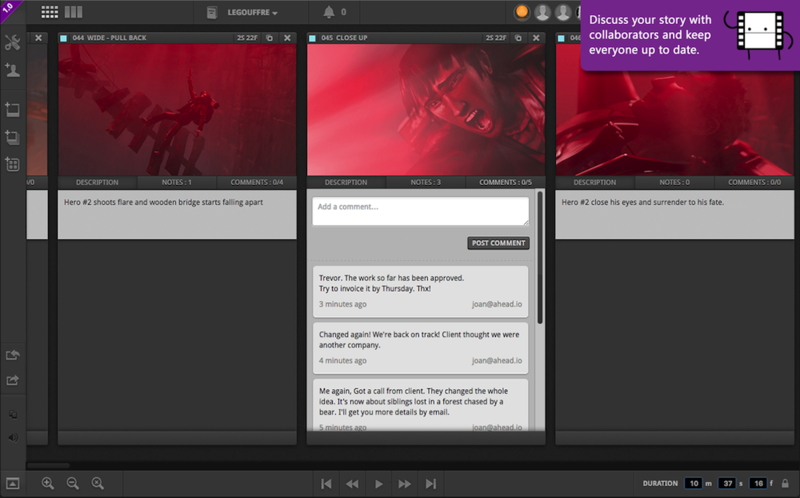 With real-time synchronisation and notifications, storyboard collaboration has never been as awesome! See who's online when you are, follow the changes your teammates are making live and comment on your units. Set the duration of your Story and impose your tempo! Change the length of your Units for what best suits your action and preview the result before you make adjustments. 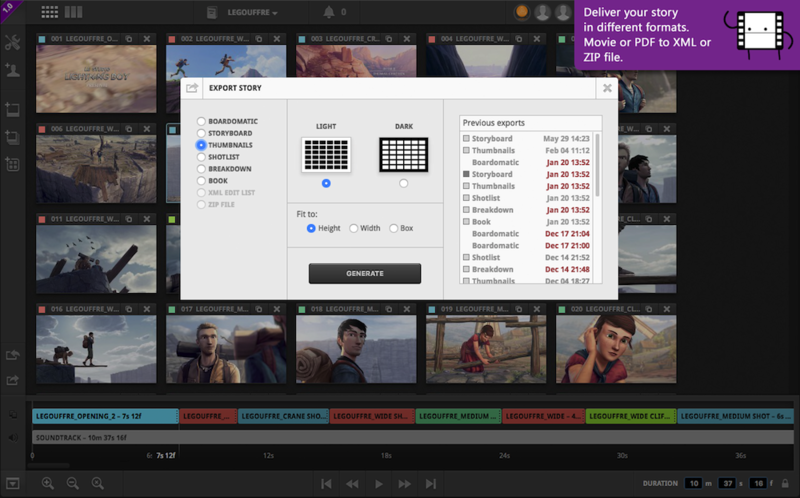 All your uploaded media are evolving and you want to keep an eye on it. Put all your versions inside your units and decide which one will make it to the final export. PDF export layouts come in all forms: storyboard, thumbnail, shotlist, breakdown or book. Video boardomatic is also available. You dreamt it? Shottio has it! Sign up now and start your first story for free! We wish we'd live in a world where all awesome things come for free forever. You know I'm talking to you ice cream! Don't worry, we won't ransack you! For a very affordable fee, we're unleashing the power of unlimited stories, teammates and exports! A Brand New Playground ! 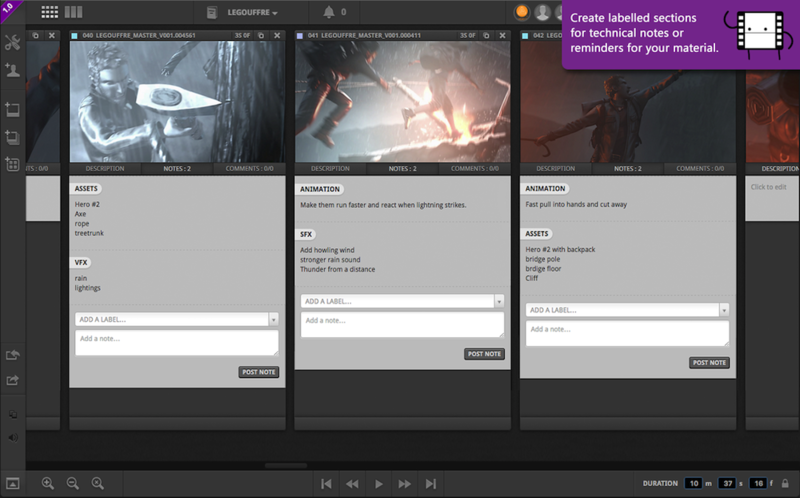 Develop your concept by uploading and organizing your artwork and sound on a timeline and previewing it live. Simplify your pre-production process by inviting other people to collaborate and give feedback on the project. Export your work as a movie or as multiple print formats to get feedback and approval from your client. Follow us to get news and updates, or contact us for any questions!